In the era of Trump, socialists are gaining in popularity. 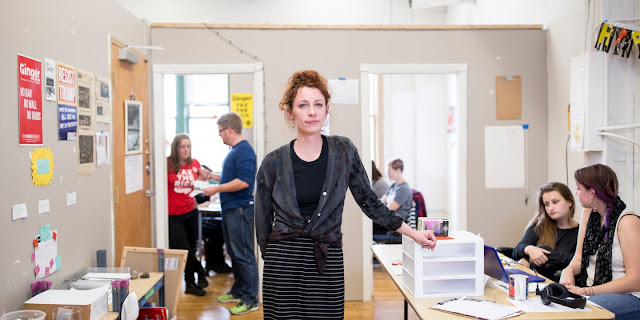 The average donation to first-time socialist candidate for Minneapolis City Council Ginger Jentzen is $25, and she accepts no corporate money. She's running on a platform of citizen oversight of the police, rent controls, and a $15 minimum wage. She's outraised any other candidate in Minneapolis history, reports BoingBoing. Jentzen cites Kshama Sawant, the socialist member of Seattle city council who successfully introduced a $15 minimum wage to the city, as her inspiration for getting involved in city politics. The kids mistakenly view the crony populist, mercantilist Trump as simply a capitalist and hold the confused simple-minded view that the only alternative is socialism. Of course they are! We told those "libertarians" for Trump that this would happen and it is happening. Trump is now the face of Capitalism for at least a full generation to come,whether we want it or not, and is such an easy face to attack and demonize.